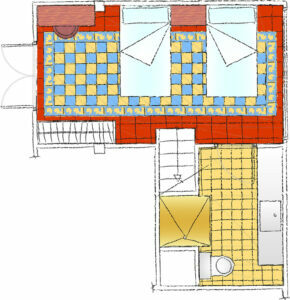 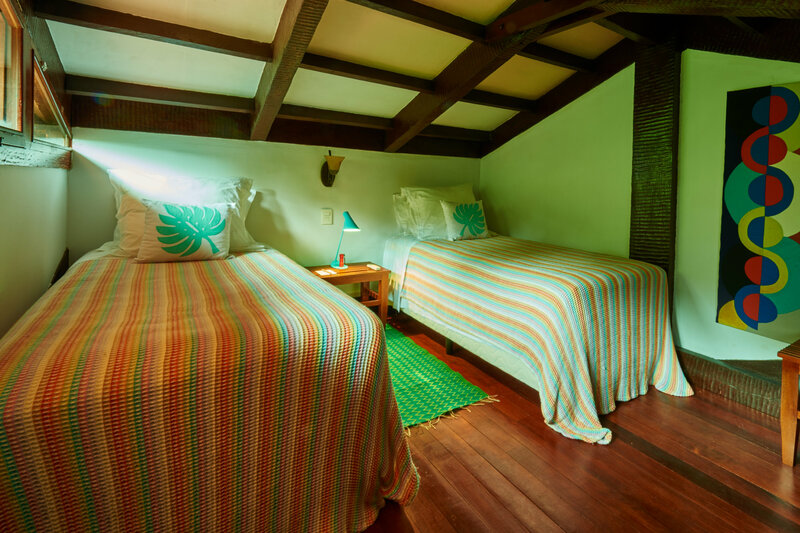 With a maximum capacity of 2 adults and 2 teenagers, this 48 square meter suite includes: two full beds (double/double) on the entrance floor and two single beds in the half attic above; the perfect miniature bedroom loft for children and teenagers. 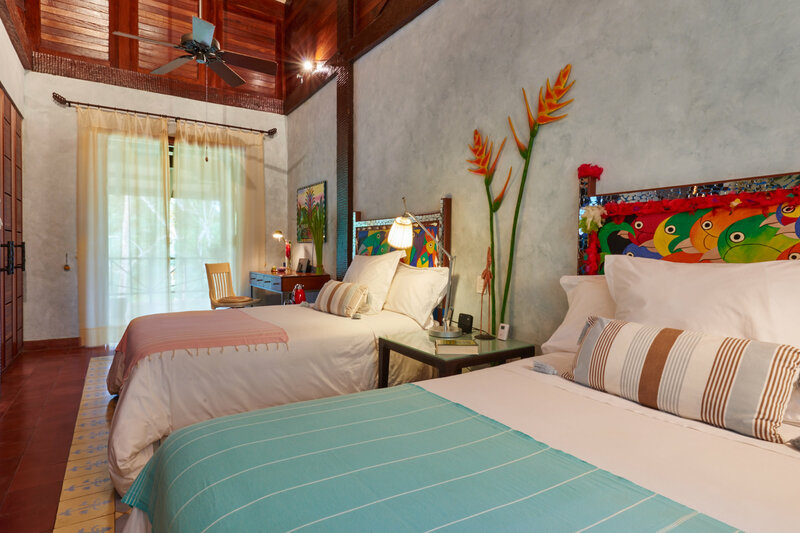 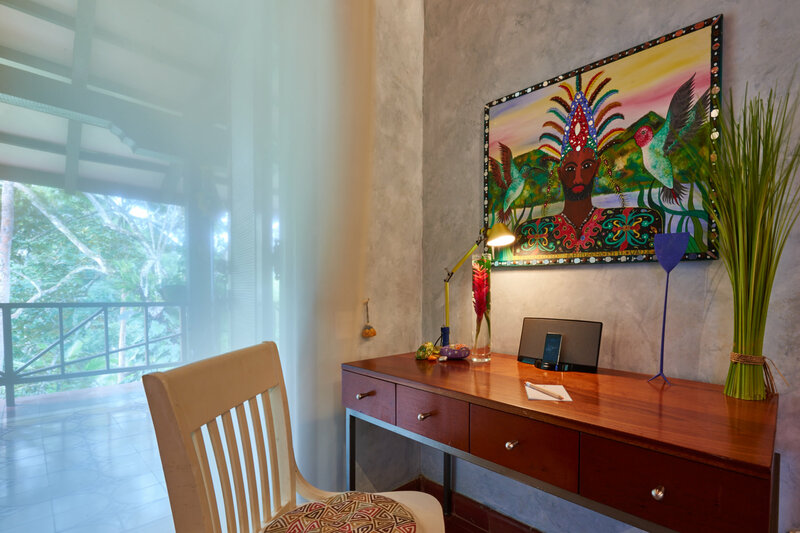 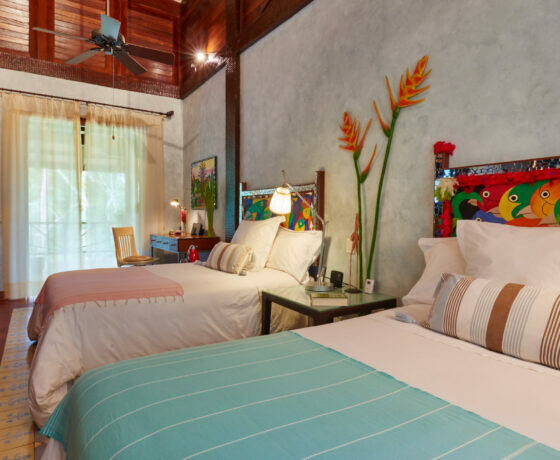 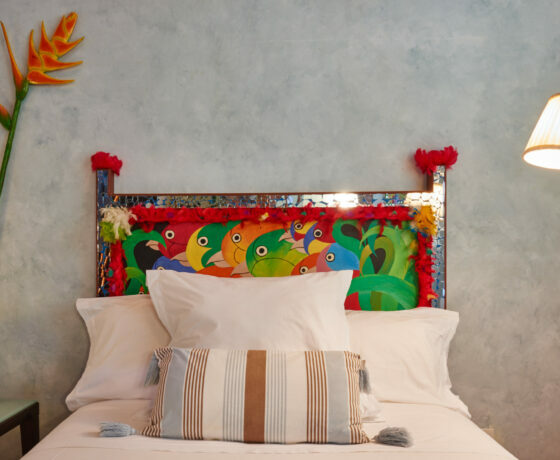 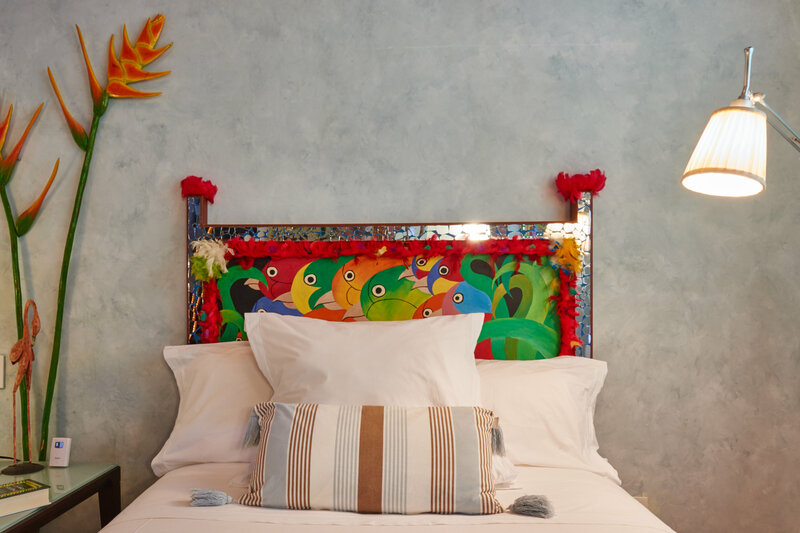 Colorful painted headboards and adornments of the Guna Yala indigenous regions. 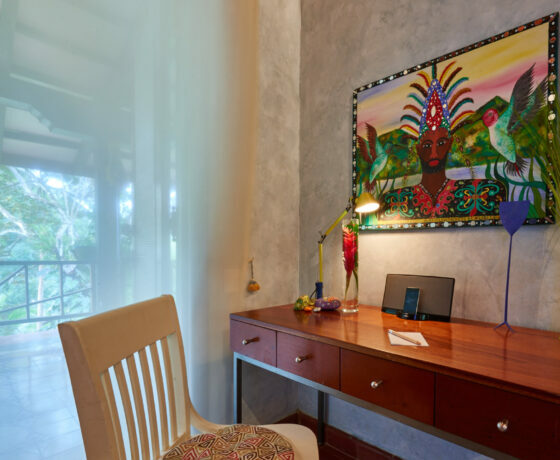 Paintings rendered by our own local artists of The Portobelo workshop, representing Congo kings and other mythical characters. 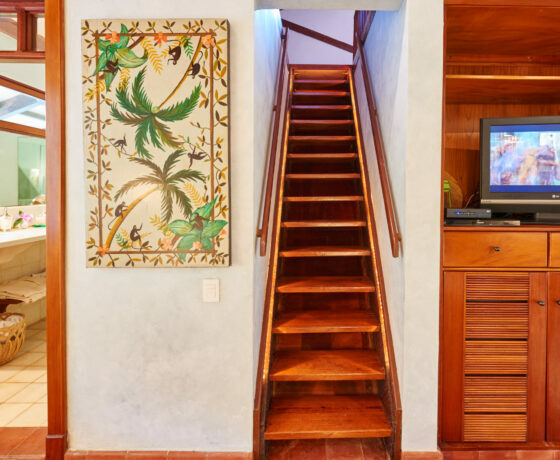 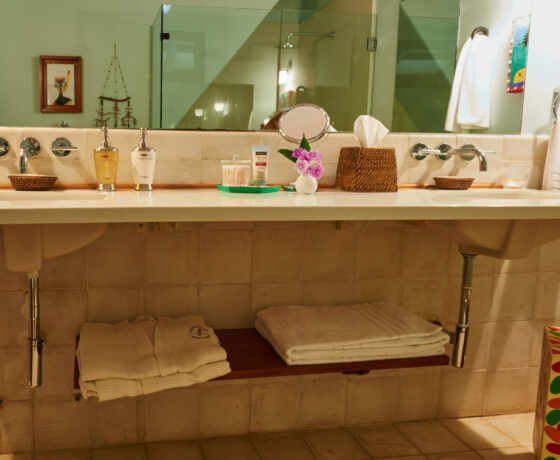 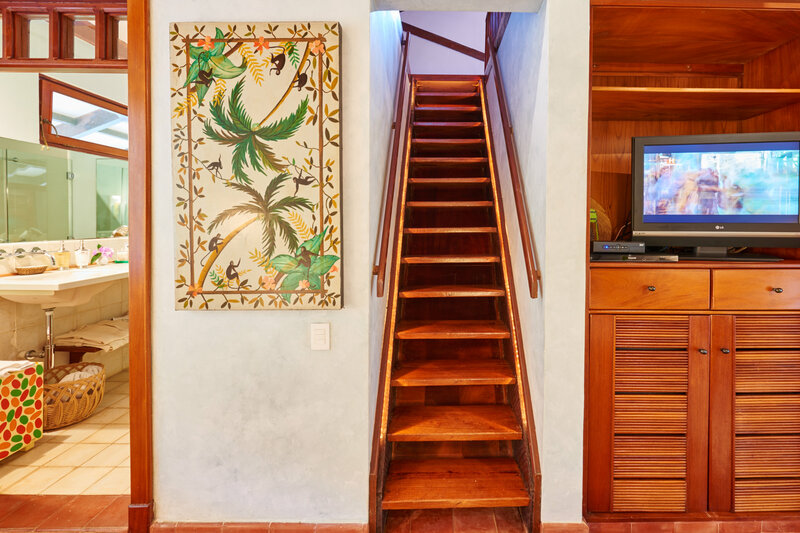 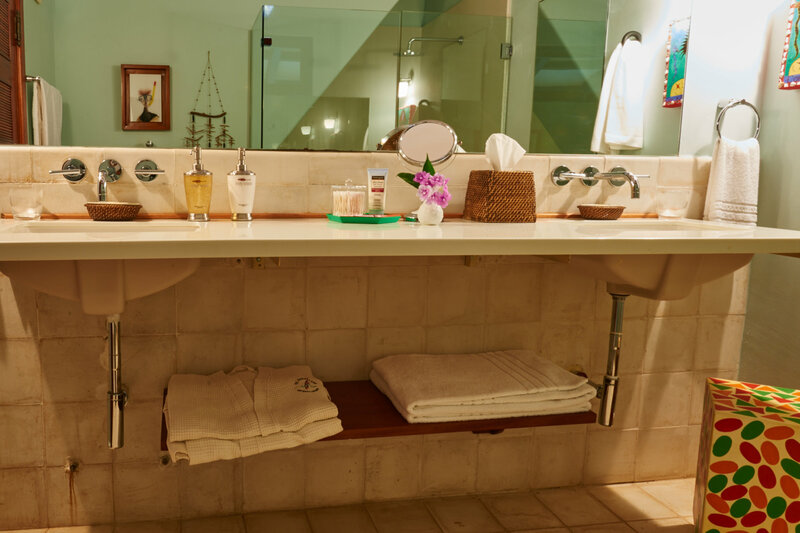 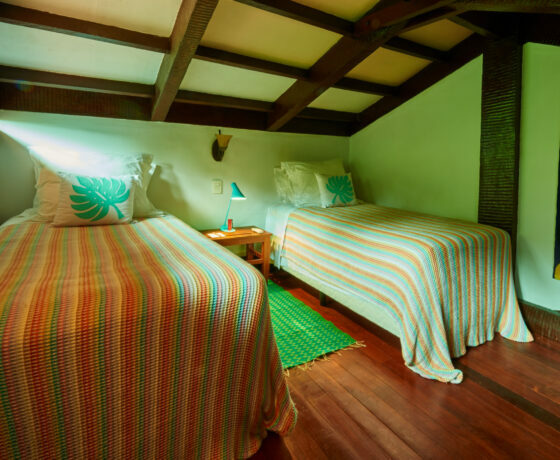 Wood and colonial handcrafted ceramic tiled floors.